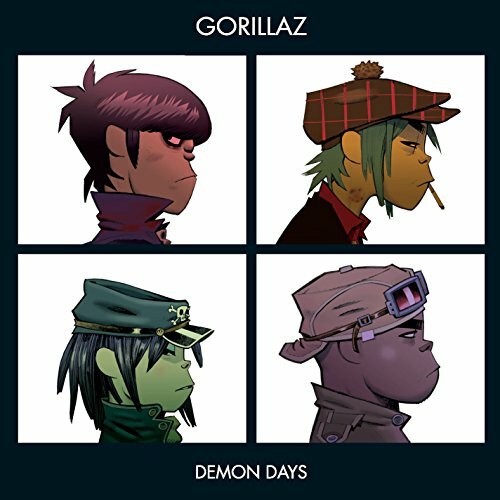 The first image on the page is for The Gorillaz - Demon Days, followed by the original. Also check out the most recent parody covers submitted to the site. Great artwork but not very creative with the title at all. To say the least, you could have made the parody cartoons look as cool as the originals. But I'll still give you point for effort. 2-3-4! Lil Mak, that's "Weird Al" Yankovic in his various costumes. Nice! I love the Gorillaz and Weird Al! Oh yeah! He's the one who does all those parodies! Oh...my...goodness, Lil' Mak. If you visit this site, and you don't know who "Weird Al" Yankovic is, you live on Mars. Still, iisyran, how the HELL did you get that effect? shut da f*** up Zombie! if ya don't like da site then watcha doin on da site! we don't need people talking s*** about it! just leave! Oh yeah, and to bobpiecheese:I WAS PLAYING DUMB!